By default, Apple computers have an operating system (OS) level setting that limits the Tab key to “Text boxes and lists only”. This can be confusing, if not frustrating, for those unaware of this setting and expect keyboard focus to be similar to navigating on a Windows machine. 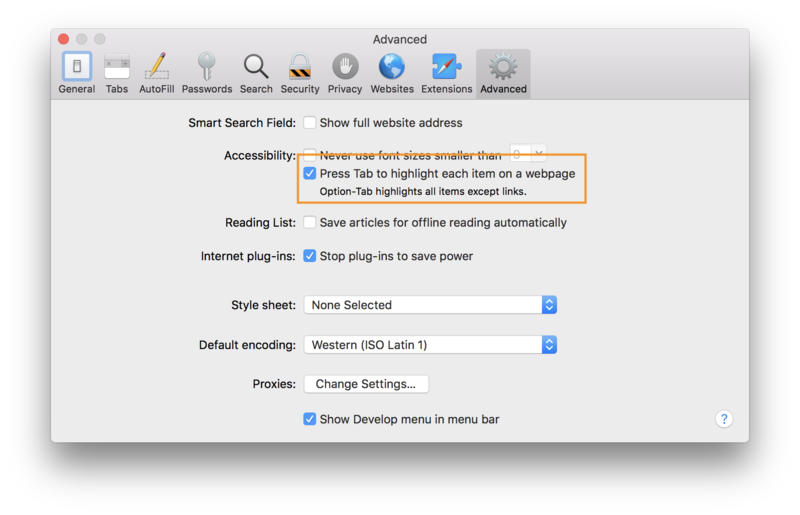 In order to allow for full keyboard navigation of all focusable interactive elements in macOS Safari and Firefox, you’ll need to make sure the following keyboard settings are adjusted. Select “All controls” (radio button) or press Control + F7 (if you’re on a laptop you may also need to press the fn key). After updating this setting you will need to quit and restart your browsers to have the update take effect. With these changed settings in place you should now be able to use the Tab key to navigate around web pages as expected. 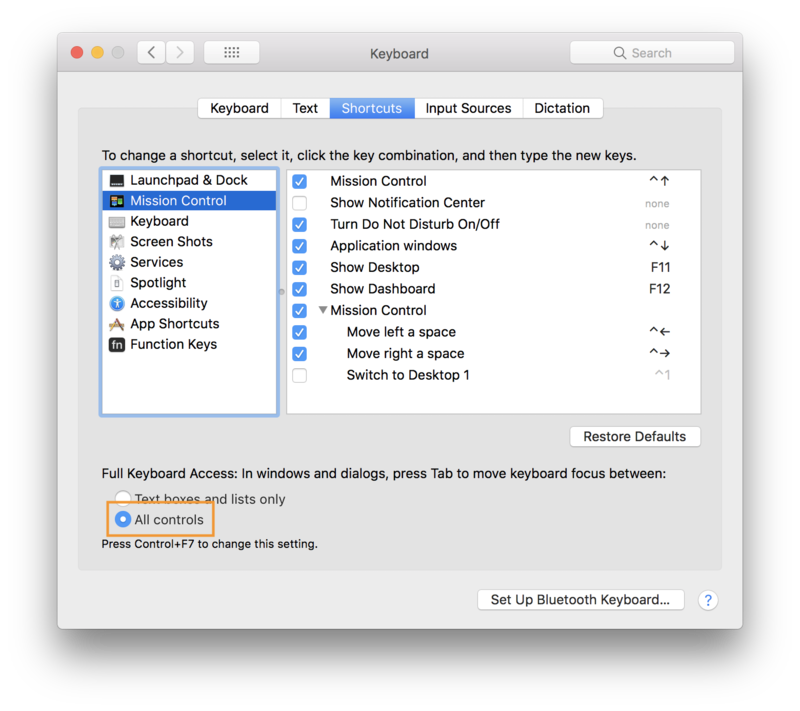 Run the following command in Terminal to enable keyboard control at the macOS level. This command can be helpful if your organization uses a config script for new employee machines!